Sylvie and I chelhelatch our bus to Warsaw minutes before it departs. It’s amazing that even after almost 6 months of travel we have yet to miss any of our public transportation. We left at 2pm sharp and arrived in Warsaw at 9:30pm. This ride was supposed to be 7.5 hours but we got caught in traffic for 30 minutes + we moved ahead an hour in time zones (just found out we don't actually move ahead 1 hour) . I’m not sure how it all worked out? We drove across the border without stopping yet again—thanks to the open borders within the Schengen Area. After arriving to a rainy and cold Warsaw we had to walk 20 minutes to one hotel to pick up our keys and then another hotel for our room. After initially walking in the wrong direction for 15 minutes we were disappointed to discover our first hotel was on the 3rd floor. After walking up 3 flights of stairs, each with 3 bags in hand, we checked in and received our keys and information. We struggled to find our hotel but finally found it. After another arduous several flights of stairs we made it into our very small but quaint room. We walked the two streets near our hotel in search of a place to eat dinner. It was before 11 and some places were still open. Our location was definitely in the more expensive area, as there was an LV and Gucci across the street. We ate Mexican food, the best food we’ve eaten in a long time. Sylvie and I both agreed that the salad we got was the best we’ve eaten since setting out on our RTW travels. We woke up early to make the most of our only full day in Warsaw. We walked toward what was left of the Jewish ghetto wall. As we neared the wall we realized there was nowhere to cross the street. A fence ran through the middle of the street, preventing crossing. We haven't found Poland to be very pedestrian friendly. Crosswalks are hard to find and you must cross most intersections by underpass. 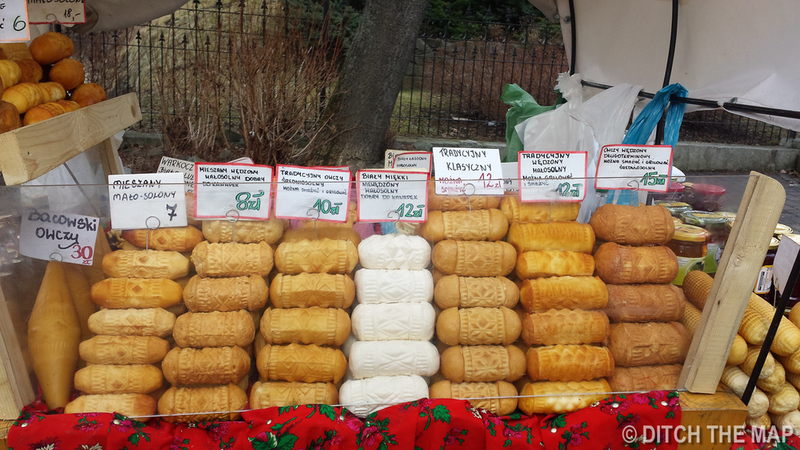 We gave up on the wall and continued walking toward Old Town with a brief stop at a market for some bread, a pastry and a pickle. Old town was very beautiful with colorful houses with intricate designs. The old brick wall that once enclosed the old town is still intact in some areas. To escape the bitter wind and cold we ducked inside to a tearoom. After walking through old town we crossed the river into the neighborhood of Praga. We had read that it was once a dangerous and poor area but was now an up-and-coming area for artists. Later, when we met with a polish friend for dinner she said the area is still quite dangerous and that you need to know where to go to see the charm that the area offers. Thanks to these two supreme remote working technologies that lets you access your online private work space remotely from anywhere – Cloud Hosted Desktop and Hosted SharePoint Services from www.CloudDesktopOnline.com. Check out Apps4Rent.com today to learn about cloud hosted solutions. In Praga we stopped for lunch at a cafeteria-style restaurant called a milk bar, in polish, Bar Mleczny. These restaurants are remnants of the communist era--they were created to serve cheap meals. They offer authentic, no frills food for as little as $2 USD. Mostly older people and students use them. After struggling to read the menu, we ordered our food at the counter and were scolded in polish by the woman working the register to not take pictures. We stepped up to the counter, which opened up to the kitchen to receive our food, and it was ready in less than a minute. Very efficient service—though impersonal. We shared beetroot soup (served in a mug) and fried dough stuffed with shredded pickled mushrooms in the bleak dining area. The soup, though bright purple, was very tasty! We drank it straight from the mug. Our consensus: good food for a cheap price with a serious and no-nonsense atmosphere. After leaving the milk bar we wondered through Praga and quickly realized that it was in fact a very sketchy area. Many buildings were in disrepair and the streets were filled with litter. 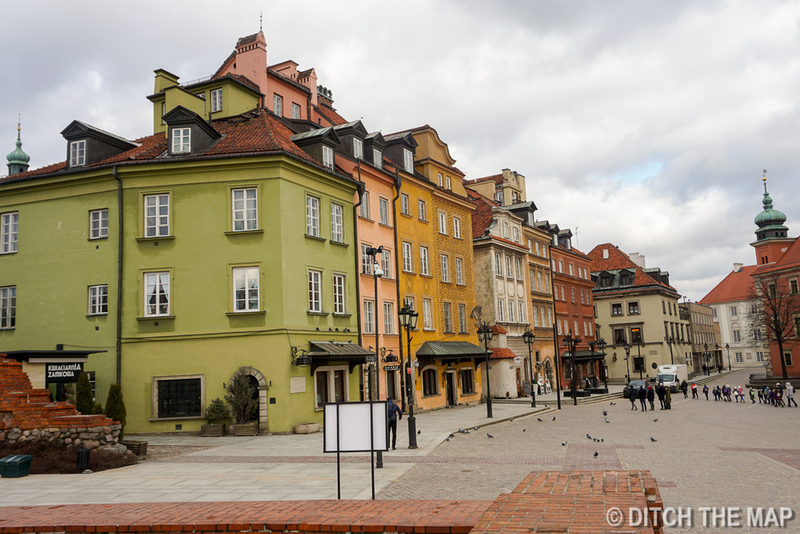 We noticed many old crumbling buildings with the same architectural style--large rectangular masses with a central courtyard creating a uniform look...very fitting given Poland's communist history. Before arriving to Warsaw we reached out to Ada and JP, who we had met while hiking the black glacier in Bariloche, Argentina. They live near Warsaw and had given us their contact information, telling us to say hello of we were ever in Poland. Unfortunately JP was on a business trip but Ada enthusiastically agreed to meet up with us, even offering us to stay at her home. We are so lucky to have met such kind people on our travels. 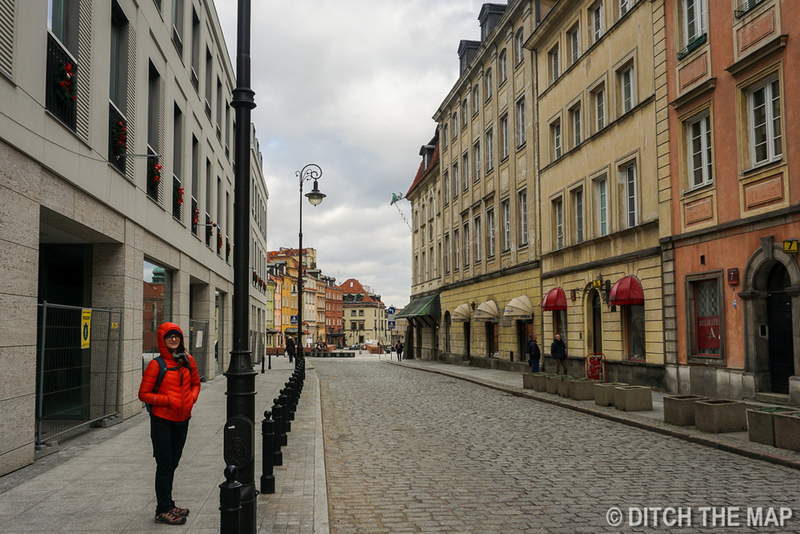 We had already booked a hostel so we met Ada is the center of Warsaw and she took us for drinks at a bar in an old socialist building and then pierogies at a local restaurant. We split steamed and fried pierogies with a variety of fillings--just about every type on the menu! We tried some polish beer for the first time and talked with her about Poland. Her parents lived through the rise and fall of communism in Poland and it was interesting to hear about their first-hand experiences. We learned about her parents’ struggle with communism. They would have to wake up at 4am in order to get to the store in time to get her juice. They would get rations of ‘beef’ but oftentimes they didn’t know what animal they were eating. She talked about how the government provided everyone with a flat…the same furnished flat. If you were an engineer or doctor you would have better furniture inside, but still the same flat. You could earn higher wages if you were an active member of the communist party. She had mentioned that just as many people died in Poland under communist rule than had in the several years during WWII. Wow! After hearing Ada speak about communism and the current economic condition in Poland I think that that although Poland is a democratic nation communism has had a lasting impact. Wages in Poland are relatively low compared to neighboring countries, which makes it hard to afford housing and other amenities that Western Europe enjoys. The average worker in Poland earns only 47 cents for every dollar earned by the average worker in America. And this is after adjusting for purchasing power parity—this means Poland’s lower prices are factored in. The average Polish citizen has only 47% of the purchasing power as the average American. This is shocking to me and it makes me sick how wasteful the American culture is. The root of American culture is money. We have plenty of it already so why can’t we just enjoy our lives now that “we’ve already made it”? If any of you reading this doubt my statement regarding how American culture values earning money over anything else reach out to me and I’ll be happy to explain further. We both got very sick on the 4.5-hour bus ride. The roads where terrible and it was way too hot on the bus. We decided to take a cab, for the first time, from the station to our hotel even though it was only a 20-minute walk. Our hostel was tiny, on the top floor of a building near Old Town, and consisted of only 2 rooms a bathroom and a shower. The walk to Old Town from our hostel was a short one—only 5 minutes. The weather had turned for the worst and it was now snowing. We walked through the main square and up to the Wawel Castle. 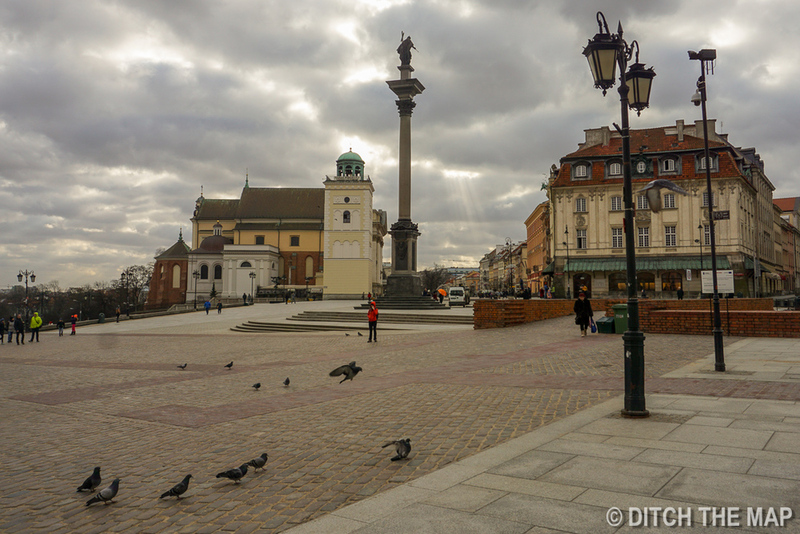 The Old Town area was mostly comprised of cobblestone paths for pedestrians only. It was small but beautiful. I can only imagine what it would be like during warmers days. After a quick coffee in McDonald’s we headed over to the Jewish Section of Krakow. Our hostel is situated between the Jewish section and Old Town. The snow had turned to rain but we were determined to walk around the area. The Jewish section encompasses an area of 4 blocks by 4 blocks. During the German invasion of Krakow this was the Ghetto in which the Jews were forced to live. There were a handful of synagogues, though they were rather small and we walked past several of them without knowing it. There was one particular street with many Jewish restaurants. On the other side of the Jewish section there was a square, Plac Nowy, which served food outside of windows. There were multiple stands and a few people buying food there. At $1-$2 for a wrap or entire pizza it was hard to pass up. There were even a few hostels pubs, and casual dining areas around the square. We decided on a place to eat and enjoyed a nice candlelit dinner with live music in the background. Sylvie and I got matzo served along 3 dipping sides, an Israeli salad, and Cholet—a Jewish stew comprising of 3 types of beans and beef. I enjoyed a nice unfiltered beer while Sylvie sipped on hot mead. We started our day at 5:30am. To respect the others in our hostel room we took our clothing and supplies to the kitchen and changed/prepared there. However in doing so we woke up the staff members working at the hostel. The guy working the front desk slept in the common area on the sofa and the kitchen was right next door. We walked 25 minutes to the bus station and made it to our 6:40 bus just in time. While on the bus we watched the first 1.25 hours of Schindler’s List. Sylvie has never seen it and I thought it would be more meaningful watching it on the day we were visiting Auschwitz. We arrived at Auschwitz as they were opening--at 8:00am. There was already a line of a couple dozen people but they were part of an organized tour. Sylvie and I were the first individuals to arrive at the camp. We spent 4 hours walking around the campground visiting many of the old barracks. Over a dozen of the barracks were being used as various memorials. Some focused on the conditions of the prisoners as well as the treatment they received. We saw huge piles of shoes, glasses, prosthetic limbs, etc. 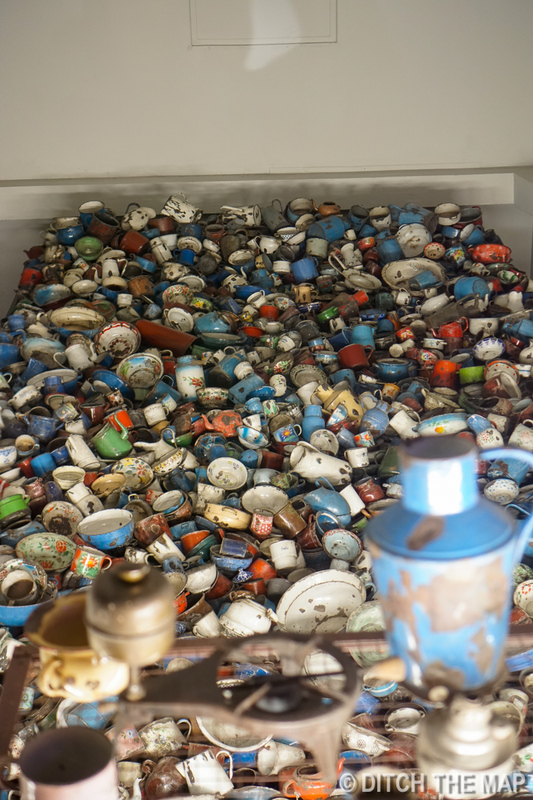 that were confiscated from the prisoners. 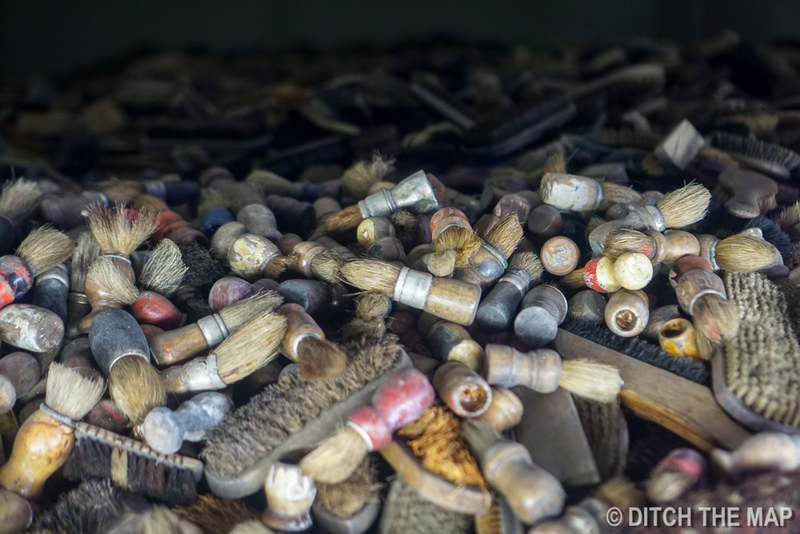 We even observed enormous mounds of human hair, which was sold to textile companies. On display they had a roll of fabric that was made using the human hair. The majority of the barracks acted as memorials to individual countries that had their Jewish population deported to the Auschwitz concentration camp(s). There was a separate memorial for France, Poland, Russia, Hungary, The Netherlands, the Gypsies, and Bohemia. I really enjoyed this aspect—it was really interesting to hear each country’s story about how they were impacted by Germany occupation. I was able to gain some perspective about each country’s struggle. We took a free shuttle to the Auschwitz II – Birkenau concentration camp. Upon entering this camp we were both struck by its enormity. The camp was easily 10 times larger than Auschwitz. I couldn’t believe how large it was. I imagine more than 1 Center City Philadephias would fit easily inside. Another shocking aspect was the fact that train tracks led, not outside the gates, but directly inside the camp. As we followed the tracks down into the camp we saw where they led. The tracks led right to the crematoria. Four of the 5 crematoria and gas chambers had been blown up with dynamite by the Germans in an effort to destroy the evidence prior to liberation. Of the 1.3 million prisoners that came to Auschwitz 1.1 million them were Jewish. Of the 1.3 million prisoners 1.1 million died—most of them Jewish. We finished watching Schindler’s list during our ride back to Krakow. It was extremely touching and emotional. That night we walked quickly to get to Schindler’s factory for a tour but after the 2.5-mile walk we learned that we had just missed the last tour. We stayed at the museum for 20 minutes reading the books in the gift shop and then picked up Vietnamese food on the way back to our hostel. We had an early night. The next morning we packed up and walked to the bus terminal where we locked up our belongings. We caught a public bus to the Wieliczka Salt Mines, the largest salt mine in the world. The admission price was a bit steep at $22/each, but we had heard great things about the mine. Our tour guide was very engaging--she taught us about the salt mine as we wandered through various chambers. She encouraged us to touch the walls and taste them. They were in fact salty! Though the walls are grey and look like rock, they are comprised of more than 96% salt. The mine is 700 years old and there are still historical elements in the mine like the remains of the steep staircase carved into the salt. The mine is more than 10km long by 2km wide. After walking through the mine for 2 hours we had not even seen 1% of it. The mine had over 40 separate chapels, of which 20 are still functioning adorn with chandeliers using salt crystals. There were also huge concert halls that are still used for weddings and other parties. The salt mine tour was very touristy but we still found enjoyment out of it. There are several tours offered at the salt mine. We chose the “Tourist Route,” but they had a tour called the “Miner’s Route” which didn’t start for another 4 hours and we didn’t want to wait. After the tour we were anxious to leave but had to follow a large group to the lifts to take us to the surface. After leaving the mine we caught a public bus back to Krakow. On the bus we were unable to purchase a ticket as we had only a large bill, and the machine only accepted coins and no credit cards. We thought we were in the clear until two men in uniforms stepped on the bus to check tickets. When they approached us we showed our ticket from the bus we had taken earlier and tried to explain our dilemma. The older polish officer did not speak English very well and was not amused. He told us that we must pay 130 PLN per person (~$70 USD total). He was very insistent and seemed unwilling to budge. Fortunately the younger officer spoke English and was a bit more sympathetic. We explained our circumstance to the older officer who only shook his head and insisted we pay. We went back and forth for several minutes and the older officer took our ID’s and refused to give them back until we paid. We had to get off of the bus at our stop and the officers followed us off. We showed them at the ticket machine on the side of the street that the machine would not accept our 100PLN bill. After seeing this they allowed us to go get change and and then buy two tickets for the bus ride we had just taken. We purchased the tickets, they returned our ID’s, and they actually wished us a good rest of our trip. What a close call! From Krakow we took a bus to Zakopane, a small touristy town at the base of the Tatra Mountains that borders Slovakia. It hadn’t really occurred to us that Saturday would be a very busy time to visit the popular weekend destination. We found ourselves fighting for a space in the line to board the bus. We managed to find two seats, but several people spent the majority of the ride standing. The bus ride was supposed to take 2 hours but ended up taking a little over 3 hours...thanks to traffic. As we neared the town we saw the mountains and lightly snow covered ground. We walked from the bus station, through the adorable main street of town, to our Airbnb apartment. We lucked out; the apartment was perfect--affordable and close to town. The next day we walked through the small ski town in the unseasonably warm weather. It’s been a while since we’ve enjoyed some sunshine. The town was bustling with weekend tourists. The main pedestrian street was lined with buildings with wooden exteriors. There were outdoor clothing stores and tons of restaurants. 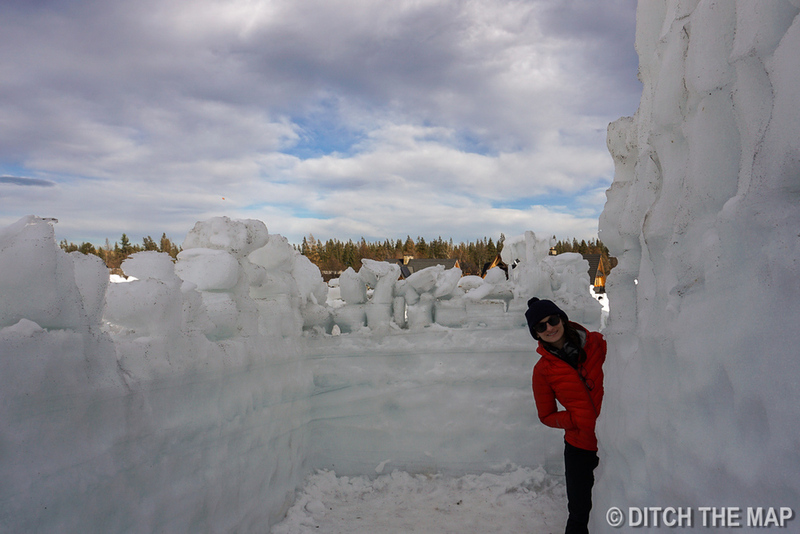 We walked through the town toward a giant ice maze we had heard learned of a few weeks earlier. We arrived at the maze at the base of a large ski jump. 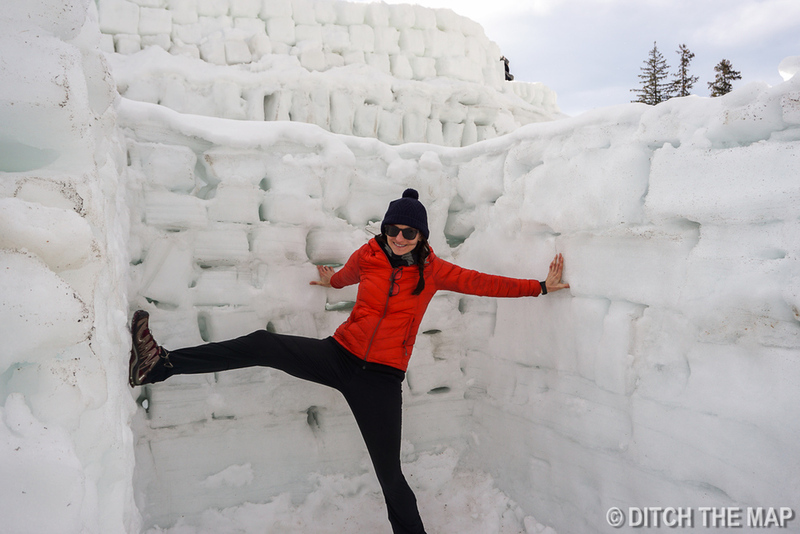 The maze was built a month earlier and by now was beginning to melt--some walls had melted down enabling us to see over them. Nonetheless, we still had a lot of fun navigating the maze and admiring its construction. 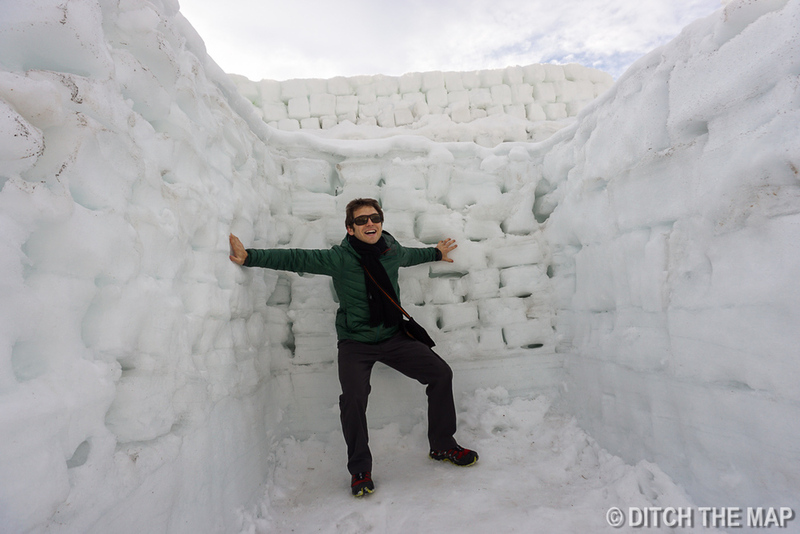 It was built using blocks of ice stacked on top of each other. We went skiing for the afternoon and even though the weather was rainy and cold we really enjoyed ourselves. The slopes were small but great for beginners. When we returned our ski equipment back in town we discovered that we had mixed up our skis and had to take another taxi to the ski resort to find our original skis--we were lucky to have located them. We walked back through town past dozens of street vendors--some of them selling a type of smoked cheese topped with jam (known as mountain cheese by locals). We had tried it before but it tasted so much better this time as it was fresh and still warm. For reviews on the best ski helmets click here.